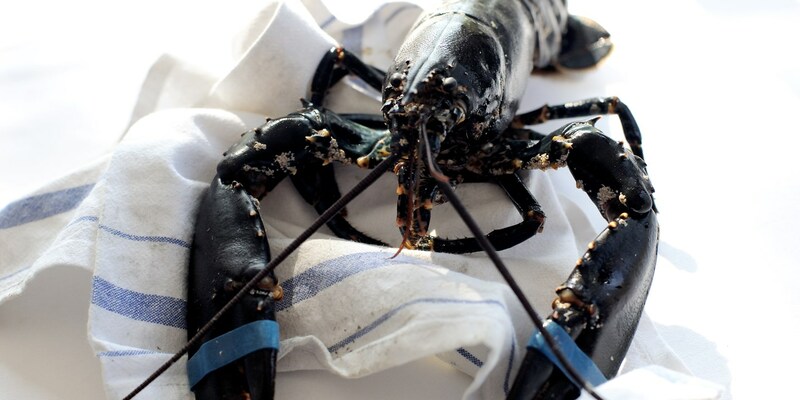 Unlike many other types of seafood around the UK which have all but vanished due to overfishing, the lobster population around Britain’s coastlines has boomed in recent years. These phenomena are not necessarily unrelated; British cod used to feed on the baby lobsters, and removing the fishy threat from the environment has enabled the population to rise. Despite its increase in availability lobster still retains that sense of luxury and are a great bet for impressing when entertaining. Browse our lovely collection of lobster recipes, including Kevin Mangeolles' Lobster tortellini, William Drabble's decadent Poached lobster tail with cauliflower dish and Andrew MacKenzie’s striking Squid ink risotto recipe. No doubt lobster has graced the table of many a romantic meal, and there are some great lobster recipes in this collection for making dinners a little bit more special. Shaun Rankin's Lobster with triple-cooked chips recipe, a dish the chef cites as his favourite meal, demonstrates that fine dining does not have to be overly formal. Francesco Mazzei’s Lobster spaghetti recipe is filled with fresh flavours and colour, while Geoffrey Smeddle’s Lobster Thermidore recipe gives the French classic a British twist.